I've been severely neglecting my vintage love affair lately. I don't know what's going on. I think this Fall trend affair has really revved up and is blocking out everything else. That's definitely not good because you should not overload your closet with trendy items. Simply put, it's a waste of money. So, with that cold splash of knowledge, which I already possessed but decided to repress, I'm going thrifting for a little minute. Check out my cool finds to help keep you warm during this record breaking Fall/Winter season. For all you PETA fans.....sorry, but this fur jacket is H-O-T! 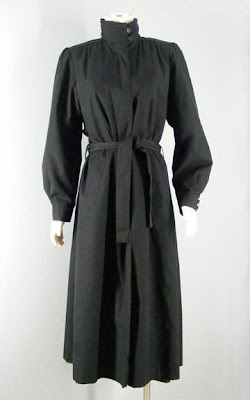 This trench is going with some knee high boots and a simple sheath dress underneath. I'll probably never take off the coat. It's awesome! Holiday parties are rapidly approaching!!! 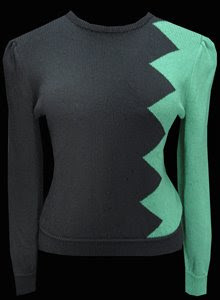 I love this mod sweater. The block of green is vibrant against the black. This sweater dress would look great paired with leather. A brown motorcycle jacket and brown knee high boots. 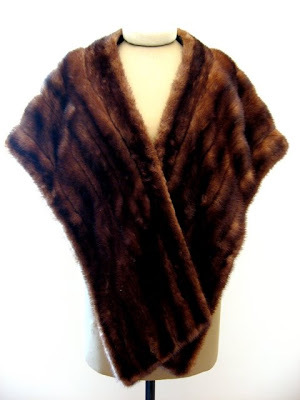 Classy glam stole that will look great paired with evening wear. However, if you want to add your own style, use it with jeans, over the knee boots and a pullover sweater to own the look.